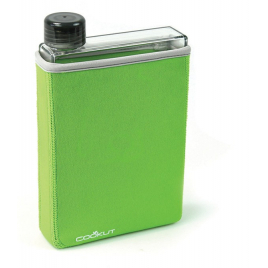 For a few years now, Cookut has been shaping the world of design and cooking with clever and original products and sets that are perfect gift ideas! Eve is a casserole made of cast aluminum with non-stick coating that has the properties of a traditional casserole plus innovative features: contemporary lines, lightness and coating "easy clean". 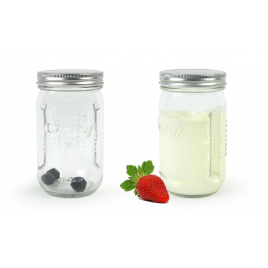 This shaker by the French brand Cookut assure you success in all your shots whipped cream in less than 2 minutes! 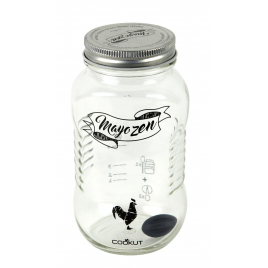 The shaker by the French brand Cookut offers a successful mayonnaise every time and stress! Drop is a double-walled table carafe which in addition to aesthetic reason and the feeling that liquid is suspended in the air, allowing it to keep warm or cool its content three times longer. 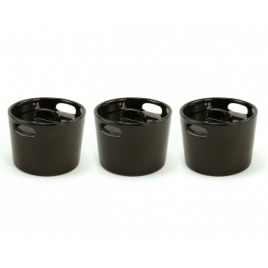 Lightweight and easy to use, Morty will become an essential accessory for your gourmet dishes. These ceramics mini casseroles could pass from oven to table in style! These accessories complete the casserole Eve 24 cm and will allow you to do steam and fry cooking with style. This thermos is an environmentally friendly and convenient alternative to the 200 disposable bottles that are produced each year.